RMS Titanic Memorial to the officers who perished-15/4/1912.(63). They perished when the vessel struck an iceberg in the North Atlantic. 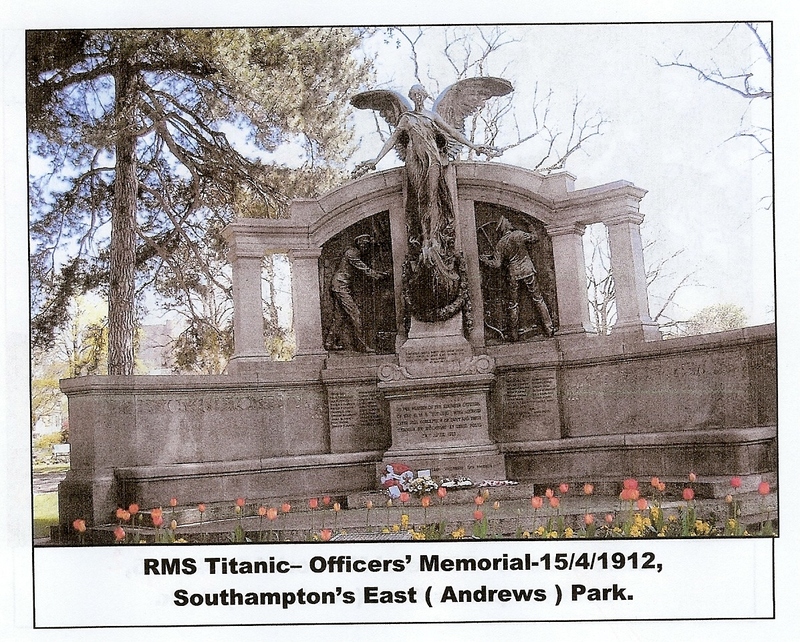 In addition to this one Southampton has five memorials to the members of the crew who perished when the vessel struck an iceberg in the North Atlantic. A recent Memorial has been installed in Southampton’s Civic Centre presented to the City by the ‘City of Southampton Society’; a cabinet on a plinth which contains a Book of Remembrance of the names of former Southampton men & women who perished. It can be viewed during Office hours – located outside the Council Chamber Entrance -first floor-south side. (Lift available). NB. Copies of the Book’s entries can be obtained from the City’s Archivist at a fee.